Photography by William Vasta, 2014. As a public school student in San Bernardino, CA, Sakari Vanderveer’s interest in composition grew when her sixth grade orchestra teacher assigned a group project combining student compositions with their original artwork. Because she enjoyed creating music with her peers, Sakari took to composing chamber music for herself and her close friends through her time in high school. While studying composition with Dr. Anthony Suter at the University of Redlands, Sakari’s collaborations with performers of various disciplines lead to commissions from instrumentalists such as Kelsey Broersma and Spencer Baldwin. 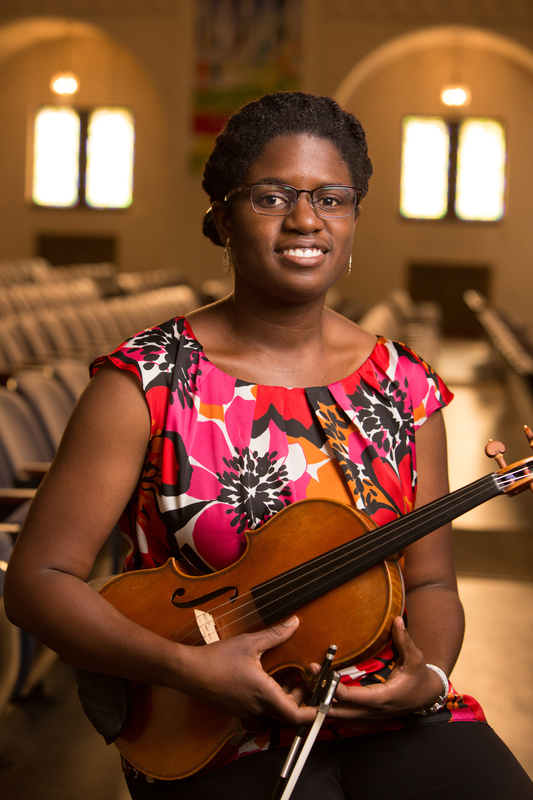 As a musician in the Greater Los Angeles area, Sakari continues to perform and compose while attempting to hook her violin and viola students on the beauty of creating music. She currently studies composition with Reena Esmail.